I was staying just off the main strip at the Clarion Hotel & Casino (now closed) just off the main strip in Las Vegas, on Conference Centre Drive. A Groupon deal meant my stay cost me just $40 for the night, and the hotel was quite adequate (especially considering I was only there long enough to sleep for 6 hours). There was even an attached restaurant that served me its daily steak special for $7.77. A small casino near the hotel lobby had a video blackjack table, and after turning $5 into $40 I cashed out while ahead, knowing I’d need the sleep before the big paddle. When: Year-round. Be aware that Nevada’s summer months can be extremely hot. It may be best to go in Spring or Fall. Antonio is the guide Desert Adventures has assigned to our trip. In addition to myself, a married couple from Pittsburgh celebrating their 25th wedding anniversary round out the trio of his paddlers. Antonio identifies as an Apache Indian and he’s recently become a kayak trip leader after years of guiding hiking in the area. Some locals have hired Antonio to take them down to the base of the Hoover Dam, our put-in point. Since 9/11, only registered tour guide firms can access this launching point. The public can access the Colorado River from beaches downriver, but the dam is unquestionably the most convenient place for its ample parking space and paved road that leads right to the river side. The dam is also an impressive sight from the base and you can chuckle at the ironic signs placed along the waterway: “Danger!” they proclaim, “dam ahead.” As if North America’s largest dam right in front of you wasn’t clue enough. “There’s even braille on that sign,” Antonio tells us. After jumping into a 16-foot kayak with a pedal-and-rudder steering system, I’m paddling down the river. I quickly learn the current is stronger than I expected, and I don’t have to work very hard to progress downriver. That leaves time for me to take shots with my digital SLR. And there’s plenty to shoot. The Nevada landscape is an alien one compared to the Ontario backcountry I’m more accustomed to. Instead of a wall of green coniferous trees clinging to grey, rocky shores, this scenery is dominated by the red and brown rocky desert tundra. The river itself is perfectly clear and reflects the blue sky overhead quite vividly. But if you look directly down under your boat or along the shallow shoals of the river, you’ll see the emerald green bottom. There are plenty of creatures to inhabit this harsh landscape. Raptors soar through the sky, and we get close enough to see a golden eagle picking away at the flesh of something it’s killed. A bald eagle circling it looks like it’s angling to steal the catch, but it won’t succeed. After several miles of paddling, we stop at about 10:15 a.m. and pull up on shore at a beach. Here, we are to explore hot springs running through an accessible crevice in the bedrock. The location has other campers that have stayed here overnight and there are two outhouses set up below the canyon peaks. Nearby, yellow flowers attract honey bees to them, and there is an obvious fire pit for use, complete with wood bundles piled next to it. Climbing a 20-foot high aluminium ladder is required to access the hot springs. It’s safely anchored to the top of the cliff, and the hot springs water trickles down immediately behind it, giving you the feeling as if you are climbing through a waterfall that is about to douse you. But you stay dry – for now. After following the trickle of warm water now soaking my feet as we walk deeper into the crevice, we reach a line of sandbags. On the other side lies a 3-foot deep pool collecting the hot springs water. Also immediately adjacent to the sandbags are two adults sitting in nature’s hot tub, drinking tall cans of beer. Further up, our group finds a more secluded pool for a soak. I’m careful as I wade through to keep my camera high and dry. I’m also glad I brought my Motorola Dext smartphone, which is waterproof up to 10-foot depth. It’s well below the water line in my pants pocket. We spend an hour with the hot springs and then move down the river. A lone mountain sheep is scaling down the steep side of the canyon to take a drink of water. As we observe its surefootedness, Antonio tells us he’s never seen one miss a step. He explains there is a padded section of their cleft hooves that act as a suction cup, flexing to cling to the rocky mountainside. There are also mountain cats as heavy as 40 pounds in the area too, but they are more skittish and rare to spot. Lunch is on a sandy beach that protrudes into the river, giving us a wide-angle view of the banks up and down stream. There’s also a humongous boulder blocking the chilly wind rolling in. Antonio has packed me a tuna sandwich – a preference I’d specified on the phone when booking the trip. There are also carrots and celery sticks, an apple, a banana, and two cookies. Mine are raisin oatmeal, but I arrange a trade for peanut butter cookies instead from one of my companions. As we eat, Antonio points out a nearby rocky peak that resembles Abraham Lincoln’s face, looking skyward. Kayaking the latter part of our 11-mile trek to Willow Beach, we pass by an old river gauging station. This was built here to measure the impact of the dam, shortly after its construction in the ’30s. The man who worked as the gauger had to walk a long path along wooden planks that were installed into the canyon’s side with metal poles. When he reached the gauging station, he first had to sit on a small cart no more than two feet wide, and pull himself along a thin cable above the river below. Then he’d descend and take his measurements for the day, and return the same way. Just a couple of miles down from the gauging station, we stop and pull up on a beach. A short hike up a steep incline brings us to the site of the river gauger’s old home, though only the foundation remains now. Here, we get an excellent panoramic vantage point of the river below. There’s a flowering desert bush on the path down from this peak. Antonio instructs us to stop and cup these flowers in our hands, blow a puff of air into our cupped hands, and then smell the result. It’s an acrid, almost sulphuric smell that is not pleasant, but not offensive either. Antonio tells us it’s the smell of the desert when it rains, and long before you notice rain clouds move into the area, you’ll smell this odour as a result of the flowers being disturbed by the rains, miles away. A short paddle later and we’ve arrived at Willow Beach. It’s 3 p.m. now and we’ve spent a long day on the water. A Desert Adventures cargo van and trailer await us, and Antonio starts collecting our gear. He points to a marina building that’s a five-minute, steep walk up a hill and tells us we can go there to buy a drink. We opt to stand in the shade and wait until our departure, gazing out at the blue river’s water and watching the fisherman dotted along its shore. Brian has been canoeing his entire life, going on his first multi-day backcountry out trip when he was 13. Brian worked at summer camps as an out trip leader and canoe instructor, and now lives in Toronto and works full time as the editorial director of a technology news firm. He escapes to go paddling whenever possible. 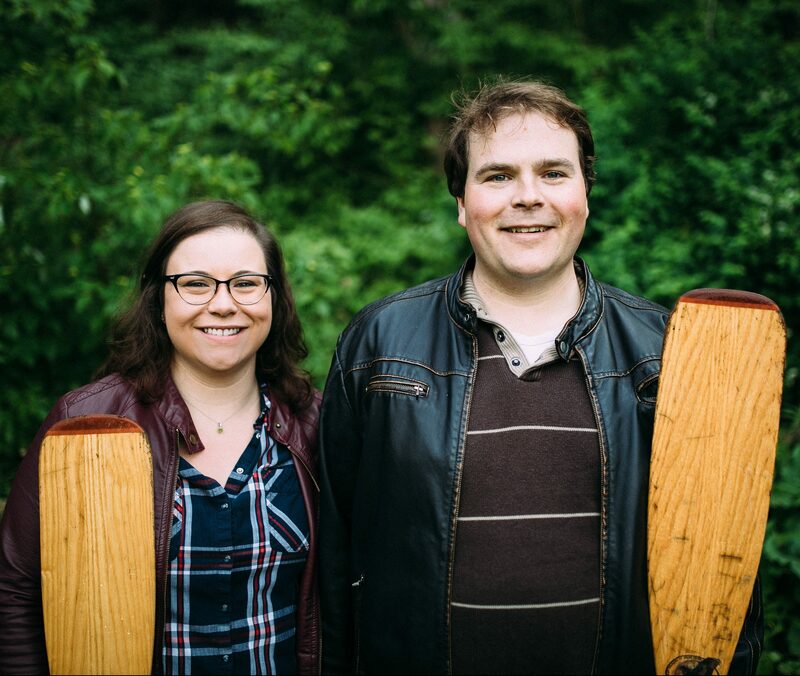 The Urban Paddlers are Brian Jackson and Cassandra Jowett. We're a couple of city slickers living in Toronto who love the outdoors, including paddling and backcountry camping. More about us. Enter your email address to subscribe to Urban Paddlers and receive notifications of new posts by email.